There are two roads that run north up the valley; Highway 29 and The Silverado trail. The former is the route more traveled, going past some of the Valley’s most famous wineries and through the town of St Helena. The road also connects directly to Highway 12 which brings visitors in from San Francisco, the East Bay, and Sonoma Valley. The net result of these factors is that traffic jams are common, particularly as you approach St Helena. 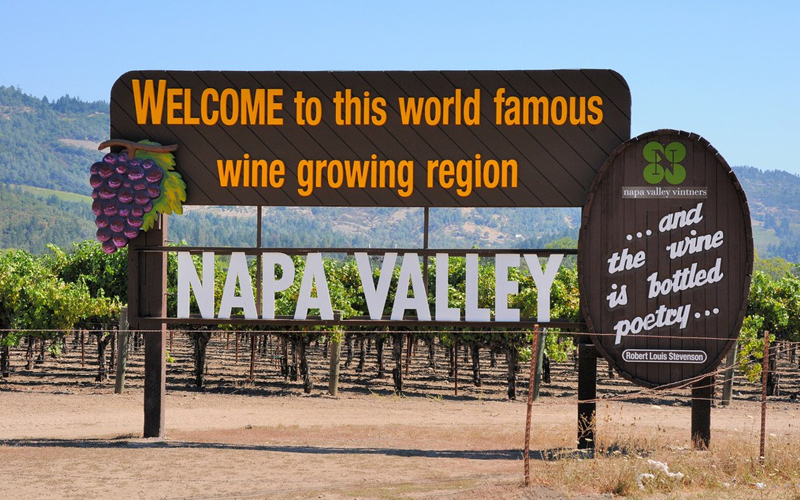 The Silverado Trail runs along the eastern edge of Napa Valley, a more scenic route than the main Highway which follows the valley floor until Saint Helena. The curving nature of this road also gives different vistas on the northern direction than if you head south. The view being more impressive than those from the flat, straight Highway 29; although the latter improves as you move out of St Helena. The vineyards that sit on Silverado may be less famed, but include many hidden gems, and are generally less crowded, which leads to a better tasting experience. If you are driving up (or down) Silverado Trail, frequent cross streets make it easy for you to pop across to visit a winery on the other road. The California Girl Comments: It has always been interesting. We “share” the driving. The Brit always drives to the wineries and I always drive home. Do you see how that works? “Sigh.” For a long time I didn’t drink much due to health issues, but now sadly for him, I can. So now we truly have to share and he finally has to see the road going back in the other direction. Our other option is bribing our niece and her boyfriend with lunch to drive us around. It was amusing the other day when a friend commented as we were headed back this road into Napa right below Oxbow market and we saw that someone has painted some murals on the buildings. Without looking up I could tell them which buildings they were. They were all astonished. I just shrugged and said, “I see this place a lot”. Everyone in the car started laughing! The Silverado trail also lent its name to one of Robert Louis Stevenson’s less well-known books – The Silverado Squatters. The book describes a stay with his new wife in the area around Calistoga.